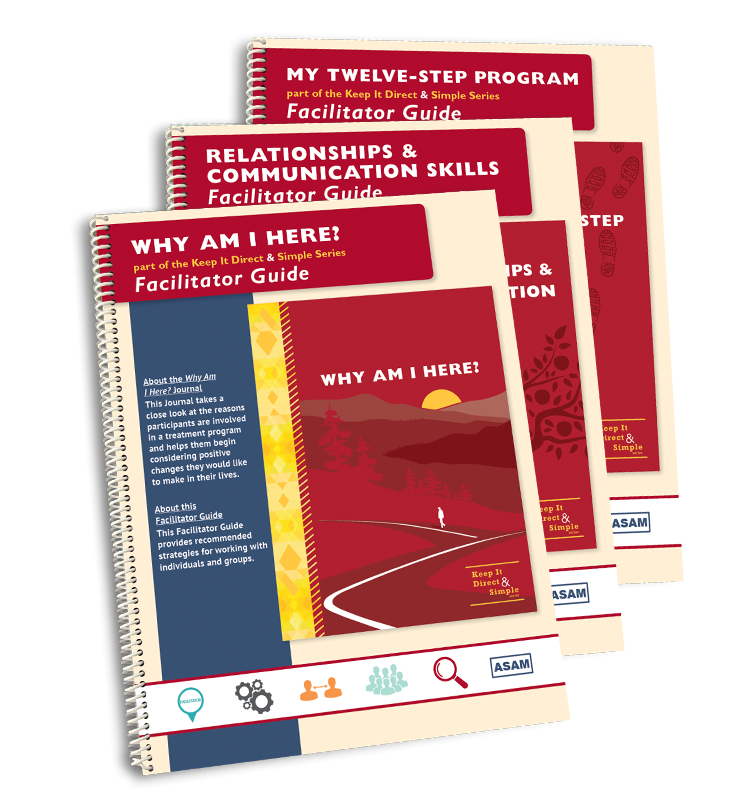 The Keep It Direct & Simple Series Facilitator Guides were developed to maximize the use of the Participant Journals. Each Guide features miniature versions of the Participant Journal pages with facilitation instructions, recommendations and participant activities wrapped around the border of each page. The Guides offer strategies for facilitating one-to-one and group sessions. Activities and optional out-of-session assignments give flexibility to present Journal material according to participant needs and the facilitators’ schedules and capabilities. The Guides also include information on the power of Interactive Journaling® and a summary of change research and its application in the Journals.